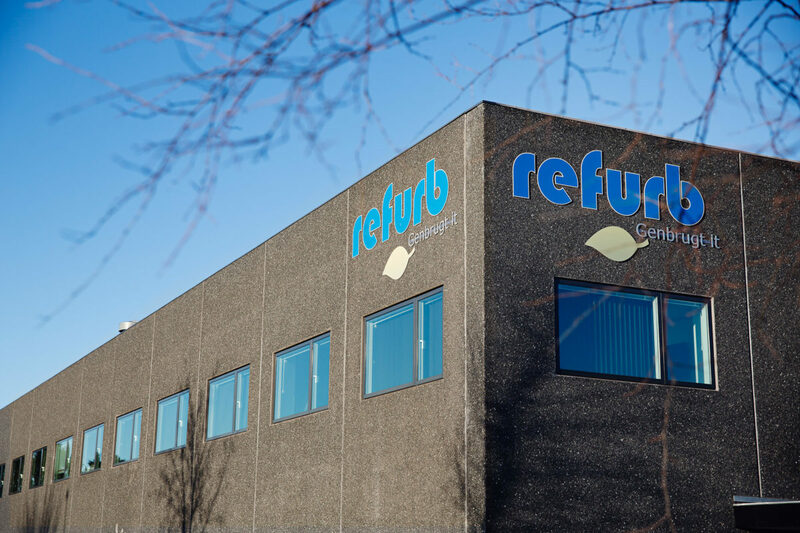 Refurb is a Danish company that buys, ‘refurbishes’ (renovates) and sells used IT equipment such as smartphones, tablets and computers. Dedicated to value recovery, Refurb prolongs the lifespan of products which are too often discarded before their functionality has been fully utilised. Refurb has managed to develop a sustainable business model that allows them to sell quality IT products at a significantly lower price than that of their competitors, while at the same time reducing the creation of electronic waste and the depletion of important resources. Refurb buys large quantities of used IT equipment from public institutions and companies. 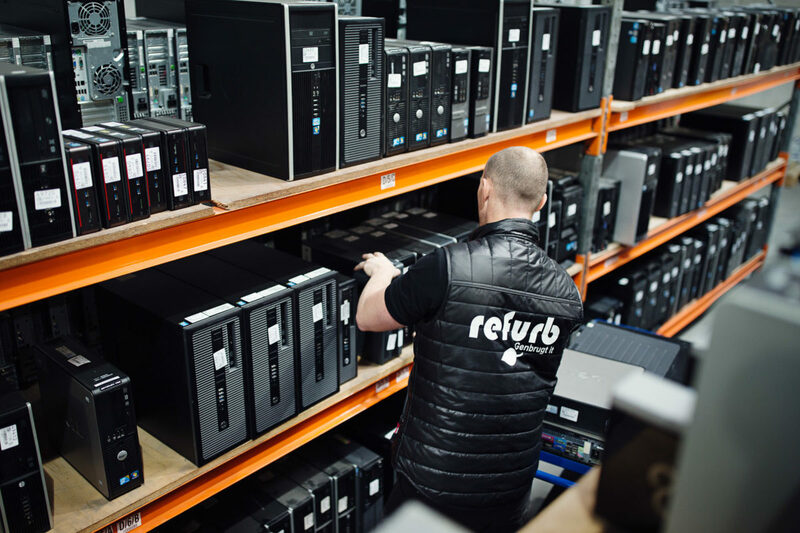 The equipment undergoes a thorough treatment at Refurb’s state of the art refurbishment center, where 32 employees specialise in erasing data, data-deployment and renovating IT hardware. Refurb categorises the products in accordance with their quality and redistributes them in large quantities to companies and public institutions, or separately from Refurb’s own online platform. When buying renovated IT equipment from Refurb, customers are able to reduce expenses by up to 50%. Around 80% of CO2 emissions related to IT products such as computers, tablets and smartphones originate from producing new products. By lowering the demand for new products, Refurb contributes to a decrease in CO2 emissions in the IT production sector. 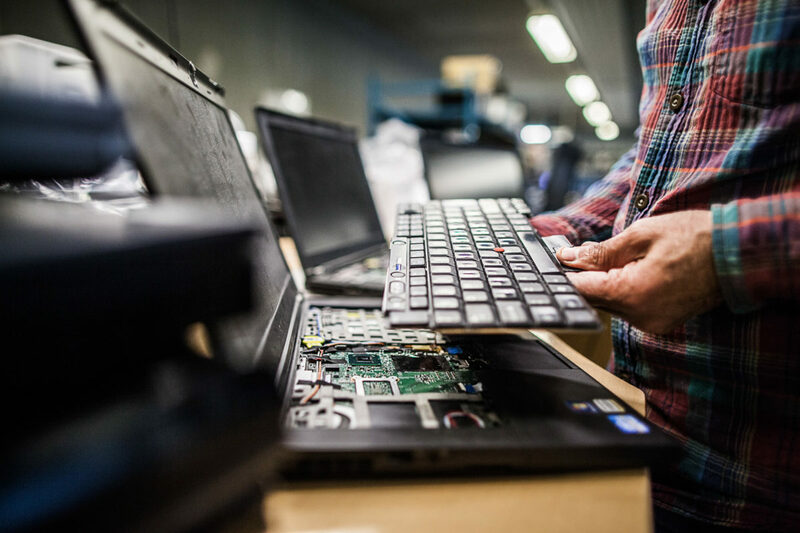 By prolonging the lifespan of IT equipment, Refurb contributes to reducing the millions of tons of valuable “IT garbage” that is thrown out by European citizens every year. A study by a collaboration of Danish business organisations and compliance schemes shows that in Denmark alone there is a resource savings potential of 3,900 tons of electronic equipment a year when looking at business-based efforts for lifetime extension of high quality electronic products. The EU needs to remove inexpedient barriers in the legislation such as the present wording of the WEEE Directive. The concrete collection targets of the WEEE Directive focus on the quantity of collected electronics and the subsequent recycling. They do not consistently support lifetime extension (reuse) which lowers the amount of new electronics on the market and reduces the quantity of WEEE that should otherwise be collected and recycled. In Denmark, companies can apply for a license to avoid double taxing when selling used products. However, this is a very complicated and time-consuming process. Legislators need to simplify the procedure and make it more available for companies dealing with already taxed products to apply for a tax license. Important data tend to keep companies and public institutions away from handing over used electronic equipment. This makes the supply side for Refurb difficult to maintain. The lack of frameworks for product safety and guarantee of sound environmental management damages producers’ brand-value.